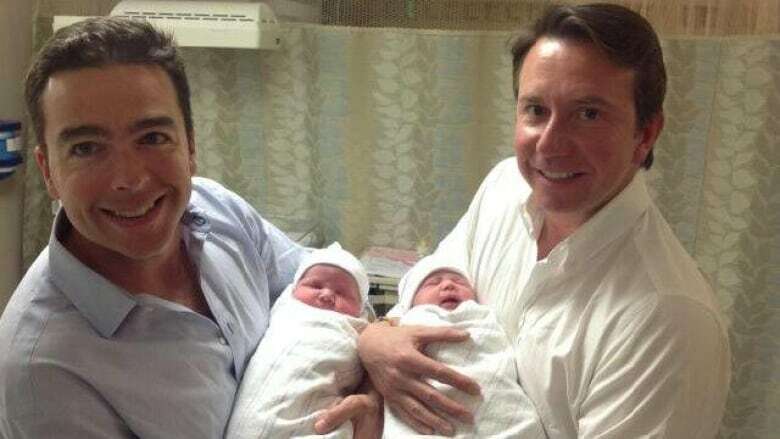 Kings-Hants MP Scott Brison is now a father to twin girls. The Liberal politician posted a photo of himself and husband Maxime St-Pierre holding the infants to his Twitter and Facebook page on Saturday. Claire and Rose Brison-St-Pierre were born on Feb.21. The couple married in 2007.